Church Hills brings a concept of boutique guest house accommodation to the Riebeek Valley. Six delightful and exquisitely designed en suite rooms have been carefully planned and thoughtfully stocked to satisfy the discerning guest, leaving one time to relax, take in the unsurpassed views and enjoy the peace, quiet and fresh country air of this very special place. Friendly, personalised hospitality from Belgian-born owners Koen van de Velde & Veronique Gyselinck will make you feel right at home in this stylish, yet homely establishment, that has become a favourite of many repeat guests. 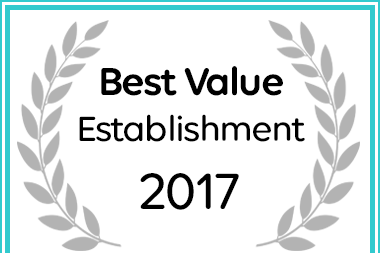 Church Hills Boutique Guest House has been named a Best Value Riebeek West Establishment.